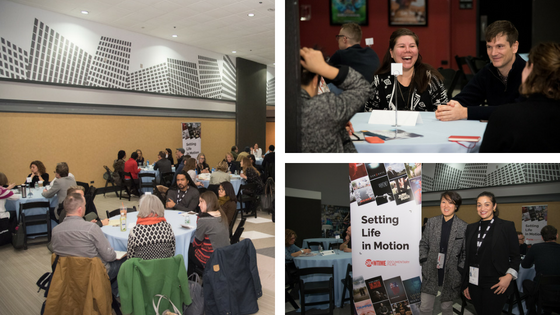 Only in New York is an opportunity for filmmakers with works-in-progress (either features or series) to have intimate roundtable meetings with industry figures from the fields of distribution, financing, festival programming, and more. 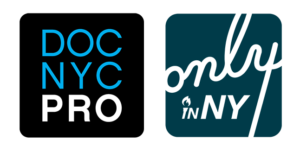 Only in New York is part of DOC NYC PRO (presented by Amazon Studios), the festival’s industry programming component, and aims to curate the most promising documentaries of the future for industry consideration. Last year, participating companies included HBO, A&E IndieFilms, Amazon Studios, Sundance Institute, and over 40 others. Past Industry guests include representatives from HBO Documentary Films, Discovery, Netflix, National Geographic, Sundance Institute, and A&E IndieFilms. For a complete list of past participants, please visit our 2018, 2017 and 2016 Only In New York pages. Filmmakers whose projects are selected for Pitch Perfect will be given 10 minutes to pitch, including trailer or clip, and 15-20 minutes of feedback from an industry panel. In addition to putting filmmakers in front of funders, Pitch Perfect seeks to connect projects to mentors such as producers,post-production supervisors, sales agents, publicists, outreach coordinators, marketing directors, and others to strengthen the film’s potential in the marketplace. Please email info@docnyc.net with any questions regarding OINY or the submission process.